A U.S. Geological Survey report out Tuesday downgrades the fracking potential of California's vast Monterey Shale oil deposits. The study is the latest to lower a 2011 federal energy estimate that billed the Monterey Shale as a game-changer for U.S. oil, with what was then estimated at 13.7 billion barrels of recoverable oil overall. Instead, the U.S. Geological Survey's new study said, the most oil-rich portion of the giant shale formation holds just 21 million barrels of oil that can be recovered by intensive methods, such as hydraulic fracturing, better-known as fracking. The modest assessment has the potential to influence energy policy in California, where Gov. Jerry Brown has resisted calls from environmentalists to ban fracking. Tuesday's report looked only at the San Joaquin Basin, one of four basins that make up the 1,750-square-mile Monterey Shale formation. Upcoming USGS reports will estimate the recoverable petroleum in the other three basins. Another recent U.S. Geological Survey study estimated another 393 million barrels of oil are recoverable by conventional drilling in the San Joaquin basin of the Monterey Shale. 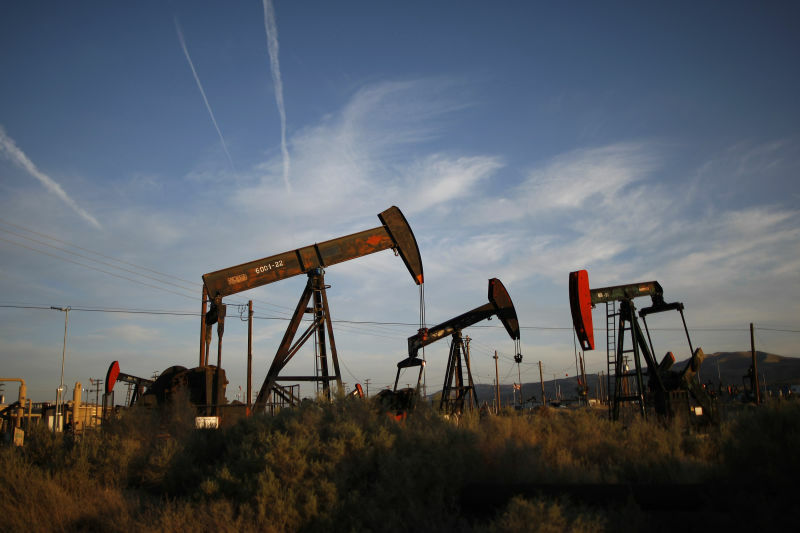 The 2011 estimate touched off speculation of a California oil boom. By 2014, however, federal energy authorities had deflated the Monterey Shale boom, reducing the overall estimate of recoverable oil by 96 percent.